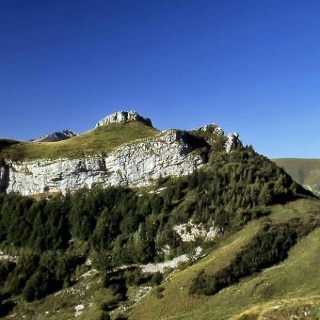 A quite fascinating trek that leads to the summit of Monte Altissimo, an exceptionally panoramic pinnacle. 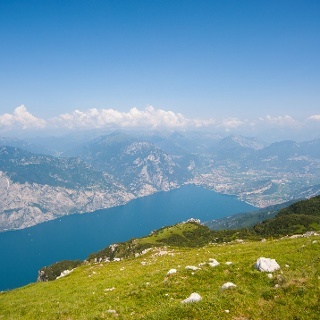 The view out to Lake Garda is one of the itinerary’s special features. 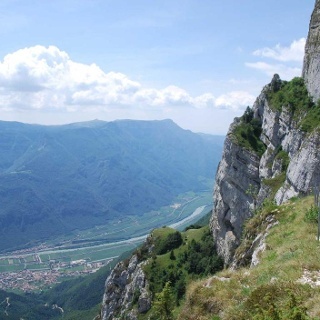 On clear days the view encompasses the Adamello, the Brenta Group, the Pasubio massif and the Small Dolomites. Start out to the right of the San Giacomo hotel. Follow signpost No. 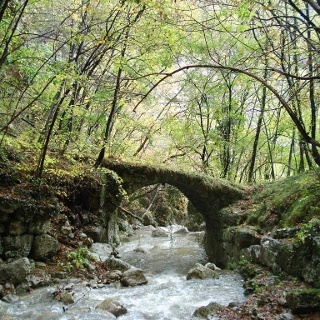 622 and you will quickly pass through Mas dei Girardei, then a meadow and then into a forest that rises rather steeply. Always on trail No. 622, exit out onto a meadow and climb up a narrow trail until you cross the road (Malga Campo locality, 1635 m a.s.l.) that connects Malga Campo (to the right) with Rifugio Graziani (to the left). Continue straight ahead (signpost No. 633) in the direction of Bocca Paltrane. 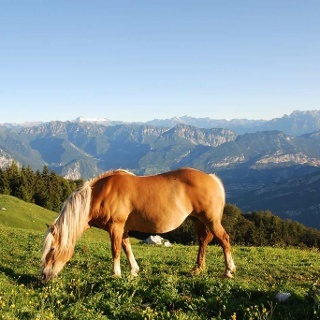 Go up a rather steep meadow until you reach the Bocca at an altitude of 1831 m a.s.l. 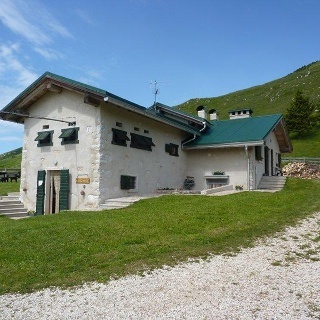 At Bocca Paltrane, continue along the trail keeping to the left and, after another ascending section, you reach Rifugio Damiano Chiesa, just a few steps away from the panoramic summit of Monte Altissimo (2059 m a.s.l.). After a rest at the mountain hut, descend the trail by following signpost No. 651 that for a while joins a mule track. After crossing the road a few times the trail goes down to the recently restored mountain hut/hotel Graziani. At this point you are exactly at Bocca di Creer (1617 m a.s.l.). 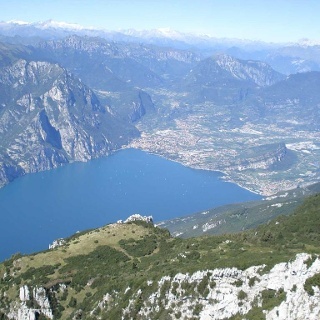 Ignore the tarmac road that leads to San Valentino and take to the left along trail No. 633; this starts out in a meadow and then crosses through a forest until it reaches a tarmac road which, after a gentle climb about 300 m long takes you back to hotel San Giacomo. Get to San Giacomo via Altipiano di Brentonico (if coming from the direction of Rovereto) or via Val Aviana if you are coming directly from Vallagarina (Avio). In the town there is a large car park alongside the main road. Park as near as you can to hotel San Giacomo, the departure point .